Spencer is the Vice President of Operations for The Wilshire Group and has been with the firm since 2015. In his role as Vice President, Spencer is responsible for the company’s strategic direction, service line creation, business development, and staff recruitment. He works with clients to define project engagement planning and execution. For more than a decade Spencer has worked with dozens of healthcare organizations across the country in implementation, consultative, and operational management capacities. During his nine years working for Epic he oversaw the growth of revenue cycle product offerings and services. His time at Epic created a foundation in the technical expertise required to ensure the system supports the business needs of a large hospitals and clinics. After multiple revenue cycle products at over a dozen sites Spencer shifted his focus to the business operations of healthcare. In this capacity he created a new role at Epic and worked with client executives to optimize their process within the system and monitor their KPIs to ensure optimal outcomes. 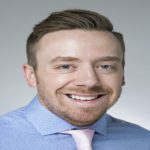 Subsequently, Spencer took on a role as a Revenue Cycle Director in a Midwest health system and oversaw comprehensive revenue cycle processes from scheduling and registration through billing and collections. In addition to daily operations he was responsible for CMS reporting requirements, quality improvement initiatives, and business unit development. Spencer received his BA from Cornell College and is a member of HFMA with the Certified Healthcare Professional (CHFP) designation. He currently lives in the Kansas City area with his family.